This October we have one Friday the 13th, an untold number of Oktoberfest celebrations and Halloween parties, and seventeen (17!) premieres of new and returning series. To see the complete list of Euro TV shows available in the US and UK, including ongoing updates of titles released throughout each month on streaming platforms and broadcast and cable channels, see the Euro TV Shows by Language section. All programs listed below are shown in their original language with English subtitles. Based on the international bestselling novel of the same name by Ken Follett (7+ million copies!) and set in Victorian London, this drama miniseries centers on wealthy bankers’ sons Hugh (Dominic Thorburn, Our World War) and Solly (Albrecht Schuch, NSU: German History X) and the love each of them has for working-class beauty Maisie (Laura de Boer, The Tunnel: Sabotage). Described by director Christian Schwochow (The Tower) as a “profound fairy tale about human desires and inner turmoil,” A Dangerous Fortune premieres in the US on Tuesday, October 3rd, exclusively on MHz Choice and the MHz Choice Channel on Amazon Video. Helena Bergström (Annika Bengtzon) stars in this crime drama series as Maja Silver, a Stockholm Police inspector who returns to her hometown in the Swedish Bible Belt to reconnect with her daughter Becky (Molly Nutley, Thicker Than Water). But when a girl is found murdered there, Maja goes in pursuit of the truth. Written and directed by Bergström’s husband, Colin Nutley (Annika Bengtzon), and featuring Johan H: son Kjellgren (Anno 1790), Anna Bjelkerud (Blue Eyes), Johan Widerberg (Spring Tide), Julia Dufvenius (Modus), Samuel Fröler (The Half Brother), and Vanna Rosenberg (Arne Dahl), Missing premieres in the US on Tuesday, October 3rd, exclusively on MHz Choice and the MHz Choice Channel on Amazon Video. Set in the Arab community of Berlin’s Neukölln district, this drama series stars Kida Khodr Ramadan (Berlin Station) as Ali “Toni” Hamady, a man desperate to escape the family business of drugs, prostitution, and money laundering to give himself and his wife Kalila (Maryam Zaree, Tatort) a fresh start. When his brother-in-law is arrested during a raid, Toni has little choice but to run the business, both for honor and to avoid being under the control of his other brother, Abbas (rapper Veysel Gelin), who’s already fashioned himself as the new head of the family. Things start to look up for Toni after his old and trusted friend Vince (Frederick Lau, Bukow and König) returns to Berlin, but Toni’s environment keeps him entrenched where he is, and a downward spiral ensues. 4 Blocks, which features Almila Bagriacik (NSU: German History X), Oliver Masucci (Look Who’s Back), Ronald Zehrfeld (Weissensee), Ludwig Trepte (Deutschland 83), and Sami Nasser (Strassenkaiser), premieres in more than 150 countries, including the US, UK, Canada, on Wednesday, October 4th, exclusively on Amazon Prime Video. 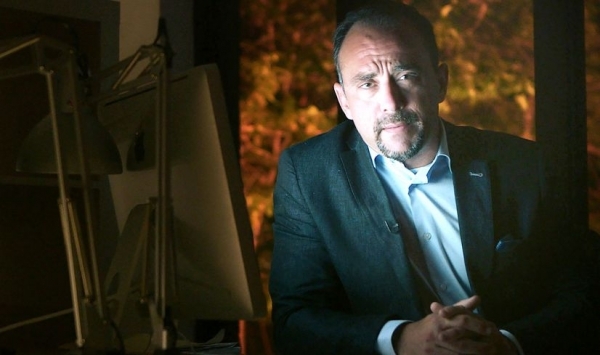 This taut and gripping political drama stars Kad Merad (Marseille) as Philippe Rickwaert, a French politician hellbent on exacting revenge against his political enemies, starting with his former friend and mentor Francis Laugier (Niels Arestrup, The French Minister), the presidential candidate from the Left who sacrificed Rickwaert to save his campaign. The humiliated Rickwaert plots his revenge by using the elections, political rallies, and Laugier’s closest advisor, Amélie Dorendeu (Anna Mouglalis, Coco Chanel & Igor Stravinsky), to bring down his now-nemesis and to reinvent his own political career. Featuring Astrid Whettnall (The Missing), Hugo Becker (A Very Secret Service), and Lubna Gurion (Maison Close), Baron Noir: Season 1 premieres in the US on Thursday, October 5th, exclusively on Walter Presents and the Walter Presents Channel on Amazon. The winner of the 2017 Kristallen Best Drama Award (the Swedish equivalent of the Emmys®), this dramedy follows thirty-something couple Lisa (Vera Vitali, Arne Dahl) and Patrik (Erik Johansson, Maria Wern) and the relationship ups and downs with their bonus families — their respective exes Martin (Fredrik Hallgren, The Sandhamn Murders) and Katja (Petra Mede, Morgonsoffan) and children from previous relationships. 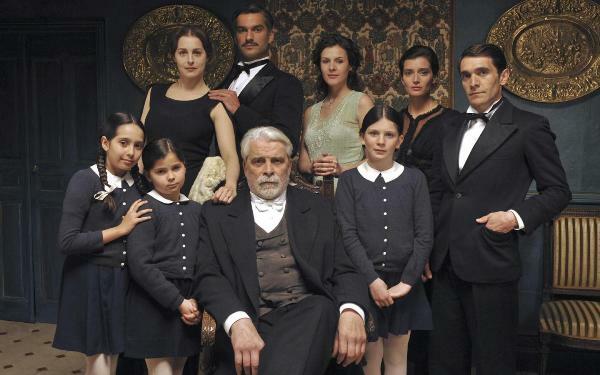 Based on their own bonus family experiences, the series is created by multiple-award winner Felix Herngren (The 101-Year-Old Man Who Skipped Out on the Bill and Disappeared) and his second wife Clara Herngren (The 100 Year-Old Man Who Climbed Out the Window and Disappeared), along with his sister Moa Herngren (Black Lake) and screenwriter Calle Marthin (Rederiet). Bonus Family: Season 1, a Netflix Original Series, premieres in the US and UK on Thursday, October 5th, exclusively on Netflix. This crime thriller series — the prequel to the 2015 film, both inspired by the novel Suburra by Giancarlo de Cataldo and Carlo Bonini — is set in Rome during 20 days in 2008, and revolves around a fight for land in Ostia, a seaside town outside of Rome being developed as a gambling mecca à la Las Vegas. The narrative follows three young men who, despite their different backgrounds, ambitions and passions, must forge alliances in order to achieve what they desire most, while church leaders, politicians, members of organized crime and local gangs, and real estate developers collide in their quest for power. Featuring Francesco Acquaroli (Don Matteo), Alessandro Borghi (Anti-Drug Squad), Adamo Dionisi (The Dinner), Giacomo Ferrara (Don Matteo), Claudia Gerini (The Passion of the Christ), Filippo Nigro (Romanzo Siciliano), and Eduardo Valdarnini (Pasolini), Suburra: Season 1, a Netflix Original Series, premieres in the US and UK on Friday, October 6th, exclusively on Netflix. 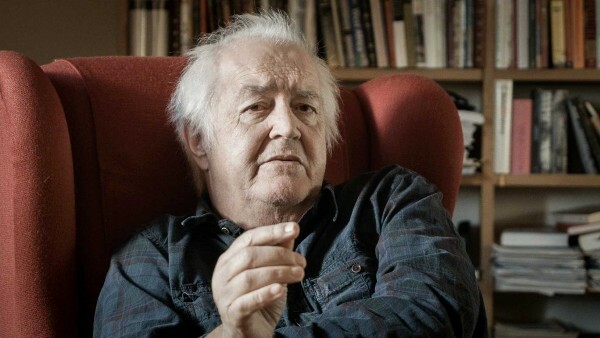 The late, great Swedish author Henning Mankell announced in 2014 that he was diagnosed with cancer. A year later he recorded his “testament,” which includes never-before-seen footage of him sharing his thoughts on the world and his life’s work. Mankell, a leading figure in Nordic Noir fiction and one of the world’s best-selling writers (40+ million copies sold worldwide) — perhaps best known for his “Kurt Wallander Mystery” novels, which inspired 32 Swedish TV movies starring Krister Henriksson — died at the age of 67 in Gothenburg on October 5th, 2015. Filmed by Mankell’s friend, the award-winning documentarian Stefan Jarl (Ett anständigt liv), and released after his passing per his wishes, Henning Mankell: Homo Narrans premieres in the US on Tuesday, October 10th, exclusively on MHz Choice and the MHz Choice Channel on Amazon Video. Cultures clash in this multiple-award-winning comedy about a German-Turkish bonus family. Narrated by cheeky teenager Lena (Josefine Preuß, Tatort), Season 2 opens soon after the events in the Season 1 finale and finds her in a love-triangle pickle with her boyfriend Axel (Axel Schreiber, Tatort) and her not-yet-stepbrother Cem (Elyas M’Barek, The Physician). Meanwhile, Cem’s sister has a secret admirer, Lena’s mum’s sister returns to Berlin, and Cem’s dad begins planning the ultimate proposal. Costarring Pegah Ferydoni (Homicide Unit Istanbul), Anna Stieblich (SOKO Leipzig), and Adnan Maral (Castle Einstein), and featuring Katharina Kaali (Binny and the Ghost), Turkish For Beginners: Season 2 premieres in the US on Tuesday, October 10th, exclusively on MHz Choice and the MHz Choice Channel on Amazon Video. Presented by television host and political analyst Stéphane Gendron, this news magazine series covers a range of topics relating to crime and the judicial system in France, such as organized crime, domestic violence, and prison life for female criminals. One episode coming up revisits the case of Claudette Verret, a 61-year-old woman who was sentenced to life in prison for the first-degree murder of her sister and her sister’s partner in August 1979. Justice 360 premieres in the US on Monday, October 16th, at 11:45 PM ET, exclusively on TV5Monde USA. This comedy series follows the life of Julien (Sébastien Chassagne, Transferts), a 31-year-old man whose lack of employment and money forces him to move back in with his mother in his hometown. There he runs into Marie (Marie Kauffmann, Ses souffles), his first great love, now a teacher at his former college… and the mum of 15-year-old Jacques — Julien’s son. Julien thinks he should play a role in Jacques’ life, but becoming a father isn’t easy when he himself behaves like a teenager. Featuring Nathalie Cerda (Un village français) and Théo Fernandez (Détectives), Irresponsable premieres in the US on Tuesday, October 17th, at 11 PM ET, exclusively on TV5Monde USA. For viewers looking for some French daytime TV, there’s this weekly lifestyle magazine series. Topics range from fashion and design to gastronomy and beyond, and segments cover things such as chic and trendy places to visit throughout France, the sagas of major brands, and the new generation of French creators and influencers. Featured in an upcoming episode are the collections of Parisian bootmaker Philippe Atienza, fashion designer Barbara Bui, and eyewear maker Peter & May Walk. Presented by actress Katherina Marx (Les Cordier, juge et flic), #VersionFrançaise: Season 2 premieres in the US on Wednesday, October 18th, at 10:54 AM, exclusively on TV5Monde Style, which streams on Sling TV. Adapted by the three-time International Emmy® Award-winning screenwriting team of Mai Brostrøm and Peter Thorsboe (Unit One, The Eagle, The Protectors) from Fear Not, the fourth “Vic/Stubø” crime novel by best-selling Norwegian author Anne Holt, Modus: Season 1 premieres in the US on Thursday, October 19th, exclusively on Walter Presents and the Walter Presents Channel on Amazon. The series features Gijs Scholten van Aschat (Baantjer Mysteries), Loek Peters (Black Widow), Susan Visser (Force), Thomas Ryckewaert (The Spiral), Daisy Van Praet (David), and Aart Staartjes (De film van ome Willem), and is shown in Dutch and Flemish with English subtitles. The Swell, a Sundance Now Exclusive, premieres in the US, UK, Canada, and Ireland on Thursday, October 19th, only on Sundance Now and the Sundance Now Channel on Amazon. Opening soon after the Season 1 finale, Season 2 of the Scandinavian remake of the hit Finnish drama finds Rebecka (Swedish actress Cecilia Forss, Anno 1790), Johanne (Norwegian actress Synnøve Macody Lund (Acquitted), and Kira (Danish actress Beate Bille The Absent One) trying to lay low after a shooting while maintaining their smuggling operation. But betrayal is in the air and danger — from a mysterious man with deadly intentions and the police — still lurks around every corner. Featuring Kyrre Hellum (Struggle for Life), Måns Nathanaelson (Beck), and Peter Stormare (Swedish Dicks), Black Widows: Season 2 premieres in the US on Monday, October 23rd, exclusively on Acorn TV and the Acorn TV Channel on Amazon Video. Men fight against the cold and animals against global warming in these two documentaries that follow members of the Wild Touch Antarctica expedition and photographers Vincent Munier and Laurent Ballesta on the frozen continent. To see the Antarctic seabed being explored for the first time, check out Antarctica’s Secrets and Antarctica: Life on the Edge, both of which premiere in the US on Tuesday, October 24th, exclusively on MHz Choice and the MHz Choice Channel on Amazon Video. 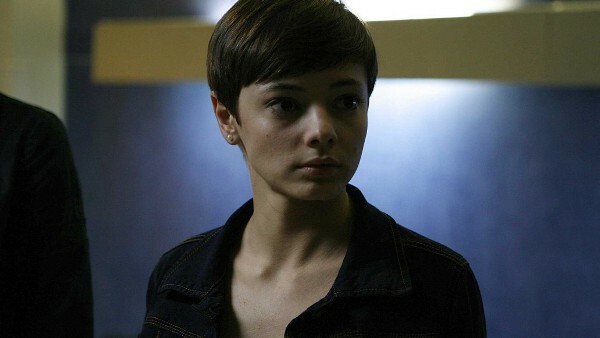 Opening roughly four years after the events in Season 1, Season 2 finds Detective Daria Lucente (Raffaella Rea, Detective De Luca) widowed, promoted to Chief of the Anti-Drug Squad, and out for revenge against the drug dealers who killed her husband and partner during a drug deal gone awry. Now, she and her team of experts aim to bring down the entire cartel and its new boss. Featuring Giorgio Caputo (Romanzo Criminale), Laura Roman (Don Matteo), and Stefano Dionisi (Inspector Nardone), Anti-Drug Squad: Season 2 premieres in the US on Tuesday, October 24th, exclusively on MHz Choice and the MHz Choice Channel on Amazon Video. Pablo Derqui (La catedral del mar, Isabel) stars in this thriller as Alejandro Puga, a neurosurgeon who receives a heart transplant after having a near-fatal heart attack. But Alejandro’s second chance at life is plagued by nightmares connected to the mysterious death of his donor, an investigative journalist, so he sets out to discover the truth behind it and unwittingly uncovers a scandal of epic proportions. Costarring Leonor Watling (Talk to Her), Ingrid Rubio (Infieles), and Juan Diego Botto (Good Behavior), Lifeline premieres in the US on Thursday, October 26th, exclusively on Walter Presents and the Walter Presents Channel on Amazon. Described as “a modern and innovative adaptation” of King Lear, this 1945-set period drama stars Jacques Weber (The Passenger) as Ottavio della Rocca, a wealthy Corsican landlord who tries to hang onto his fortune in the post-war world by setting up a marriage between his favorite daughter and the son of Ange Caponi (Jean Benguigui, Blood of the Vine), a nouveau riche farmer. But she refuses, and all Ottavio can do with his fortune after disinheriting his beloved daughter is to transfer it to his despised eldest daughter. Costarring Amira Casar (Versailles), Helena Soubeyrand (La loi de…), Hélène Seuzaret (Caïn), and François Vincentelli (Hard), The Heiresses begins airing with Part 1 on Thursday, October 5th, at 9 PM ET, followed by Part 2 on October 12th at the same time, on Eurochannel. Did you miss any of the shows from last month? Check out “Euro TV to Watch in September” to find out.